Alekan or alekhan falls is on the way to Kottigehara from Charmadi. Its just next to the road before 4 kms from Kottigehara. This water fall is just next to a small bus stop by name ‘alekhan horatti’. Since being both very easily accessible and immensly beautiful it attracts people. Other places are Bale Kallu Gudda. 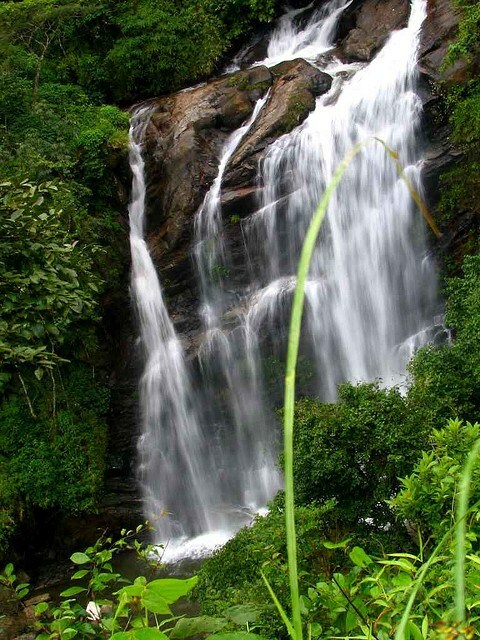 By road: Alekan falls is around 18+kms from Charmadi ghats in Chikamagalur Hegadekatta. A walk to the Vaddi Ghat after you get down at Vaddi cross or Yana. From Bangalore it is about 350 kms.